Formula Wizard study of the MACD-Cross example found in the Formula Wizard Guide. 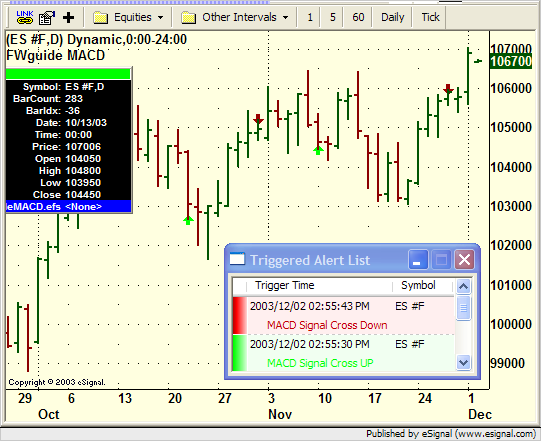 The study draws green up arrows when the Signal line crosses above the MACD line and draws red down arrows when the Signal line crosses below the MACD line. The study also plays a sound and populates the Triggered Alert List.